Jazz dancing is a form of dance that encourages a dancer’s individual style and originality. Every jazz dancer interprets and executes moves and steps in his or her own way. Modern jazz dance is often influenced by other dance styles such as ballet, contemporary, lyrical, acro, and hip-hop. 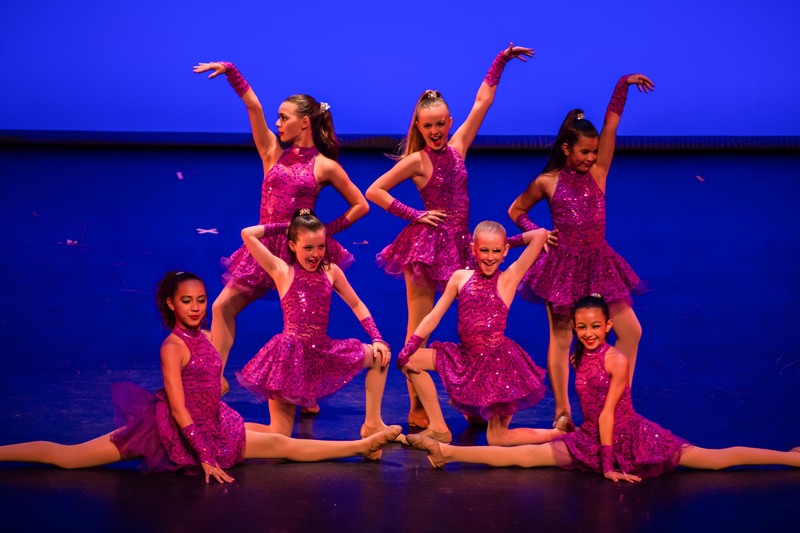 In our jazz classes, dancers are encouraged to add their own personality to make each step unique and fun. They will learn all aspects of jazz dance. This includes basic turns including chaines, piques, pirouettes, jazz turns, and some ballet turns, along with all types of leaps, such as turning leaps, grande jetes, and jumps. Jazz classes explode with energy, with music styles ranging from hip-hop to show tunes. All classes begin with a thorough warm-up, leading into a series of stretching exercises and isolation movements. This usually segues into progressions across the floor, that build as the dancer develops technique. The class usually ends by learning a combination in various jazz styles. To excel in jazz, it is strongly recommended that students also enroll in ballet.